The Office of the Director of National Intelligence has released its declassified report to the public on Russia’s hacking operations in the United States. A classified version of this report was earlier presented to President Obama, President-elect Donald Trump, and Congressional leaders. Today’s report isn’t likely to respond to a number of queries that critics have been asking, considering it’s a highly declassified version of the original assessment. The report warns that the intelligence community rarely reveals the full extent of “the precise bases for its assessments, as the release of such information would reveal sensitive sources or methods and imperil the ability to collect critical foreign intelligence in the future”. However, it adds that the conclusions made in the public report are all reflected in the classified assessment. Here are some of the highlights from the report [PDF]. Russia used a blend of covert and overt intelligence operations. Intelligence community claims with “high confidence” that “Russian military intelligence (General Staff Main Intelligence Directorate or GRU) used the Guccifer 2.0 persona and DCLeaks.com to release US victim data obtained in cyber operations publicly and in exclusives to media outlets and relayed material to WikiLeaks”. Russia “obtained and maintained access to elements of multiple US state or local electoral boards”. Systems Russian actors targeted or compromised were NOT involved in vote tallying. “RT and Sputnik, and a network of quasi-government trolls” contributed to the influence campaign. Putin and “pro-Kremlin pundits stopped publicly criticizing the US election process as unfair almost immediately after the election because Moscow probably assessed it would be counterproductive to building positive relations”. Today’s assessment released to the public says with “high confidence” (which in estimative language means judgment based on high-quality information from multiple sources, but doesn’t imply it’s a fact) that Russia’s goal was to undermine public faith in the US democratic process. In the face of such assessment, it is becoming ludicrous to see the type of reports that the agencies have been releasing – with close to no evidence. We do have some evidence from private security companies (repeated by the US in an earlier report), but back then the US intelligence community largely remained silent. Considering Obama has only a few days left in office, wouldn’t it be wiser to be bold and release at least some of the information (without, of course, affecting sources) to prove these allegations, making it impossible for Russia to get out of these “alleged” hacks with just a few temporary sanctions? While the report does confirm that all the agencies are in agreement, more needs to be shared to bring the public and hopefully the future President onboard too. The evidence that has so far been shared appears to be “good,” but is it good enough? What is the information that makes the US intelligence community so confident to indict Putin, the head of Russia, himself? If the agencies do release this information, it would be damning for anyone to argue against their credibility. But, if the government fails to release facts, then perhaps it would be wiser to stop releasing these half-hearted assessments that cast more doubts on the electoral process. Whether Russians wanted Trump to be in office or not, facts and evidence would help President-elect devise his future strategy. Otherwise, the intelligence community is only risking the future President to be more favorable to Russia who believes the country didn’t try to undermine the United States’ democratic process. 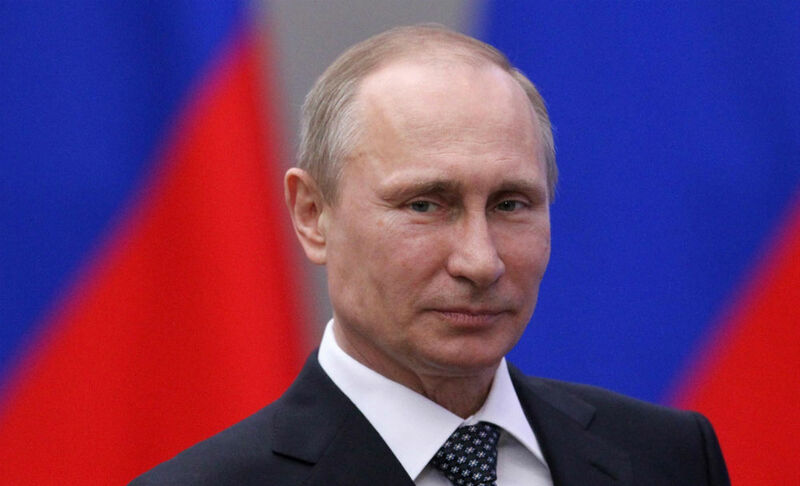 Following earlier warnings from the United Kingdom and Germany, today’s report also concluded that after a successful campaign in the US, Russia will now try to influence elections worldwide. President-elect Donald Trump was briefed by the intelligence agencies earlier this evening. While Trump stopped short of saying Russia was to blame, he appears to have agreed with the assessment. President-elect, in his statement following the brief, said that the country needs “to aggressively combat and stop cyberattacks”.